HARLINGEN — Lea Peacock answered phone calls at the Girls Scouts front office, transferring calls and answering questions about the ongoing Girl Scout cookie sales. 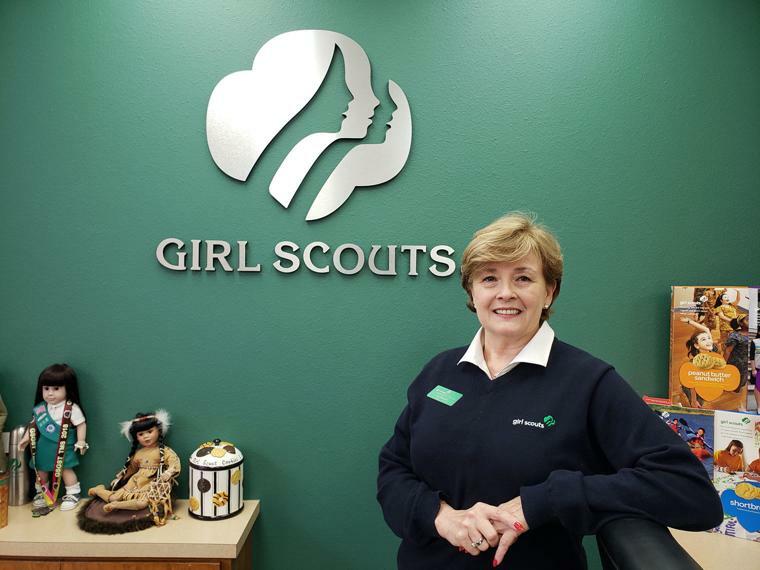 It’s not part of her day-to-day job description as CEO of the Greater South Texas Girl Scouts Council — but she was happy to do it as her tenure winds down to an end this month after leading the Girls Scouts for more than 20 years. Her leadership helped transform the organization whose mission is to prepare girls ages 5 to 17 for life. “We thank Lea for her energy, ideas and commitment to Girl Scouts of Greater South Texas,” said Carol Rausch, Greater South Texas Girls Scouts board chair. Peacock credits her success to the hard work of the leadership volunteers and the experience she gained as a Girl Scout growing up in the Valley. Peacock stepped into the role of CEO in 1995. During her tenure, she presided over the merger of Tip of Texas and Paisano Councils. Throughout her years, Peacock led more than 17,000 Girl Scouts and 3,500 adult volunteers, staying ahead of the curve with respect to the issues facing girls today and developing and delivering programs to help girls succeed socially and in the business world. Peacock said she was blessed to have served Girl Scouts for the past 22 years. She said Girl Scouts is very much in outdoor mode and the summer program has lots of outdoor activities as well as the STEM activities that parents are looking for today. “The one thing I am most proud of about Girl Scouts is we have remained true to the mission for over 100 years,” Peacock said.